This combo kit contains two tools in one box, saving you space and money! This kit includes a power source with a 21.2cc professional grade engine, a trimmer attachment, and an edger attachment. The ECHO PE-225 professional grade edger is perfect for edging yards large and small! 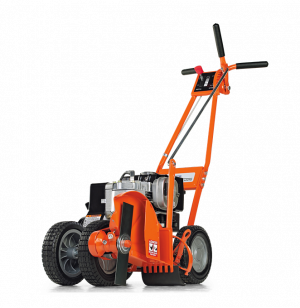 The ECHO PE-2620 is a professional grade edger designed to be lightweight without compromising horsepower. Your Husqvarna lawn edger will be ready to go anytime you need it. All of our edgers include an auto return stop switch. When the machine is turned off, the stop switch automatically returns to the start position for easier starting. Smart Start™ technology, available on select units, ensures your edger starts quickly each time with minimum effort. Designed for professional use, the Husqvarna 525ES straight shaft edger offers a powerful, robust and reliable way to put the finishing touches on your property. Balance, user-centric design and solid drive shaft ensure comfort, safety and practicality all day, while the efficient X-Torq® engine delivers higher performance with low fuel consumption and low emissions. Make your lawn the envy of the neighborhood with the LE475 wheeled edger. 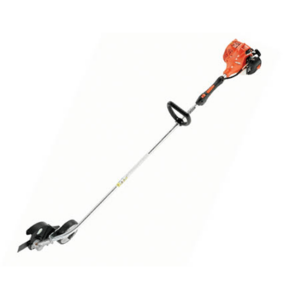 The steel blade delivers a precise cut along driveways and sidewalks, and a 5.5 torque power Briggs & Stratton engine provides enough torque to edge through compact soils and grasses.